Lumenis, world’s largest energy-based medical device company for surgical, aesthetic and ophthalmic applications, organised a two-day laser workshop for head and neck oncologists at India’s best cancer treatment and research centre, The Tata Memorial Hospital in Mumbai. The event was designed to provide training for oncologist surgeons practicing in the field of head and neck oncology. Various doctors conducted knowledge enhancement sessions using breakthrough laser technologies namely AcuPulse DUO, used widely in trans-oral laser microsurgery. AcuPulse DUO CO2 laser microsurgery is most beneficial in delicate and precision surgical procedures. Unlike open surgery, CO2 lasers can remove cancer with fewer disturbances to structures, nerves, and tissue. Due to the minimally invasive operative method, CO2 lasers are increasingly becoming a first line treatment of early stage airway cancers, especially in the larynx. Professor Vinidh Paleri, Consultant Head and Neck Surgeon, The Royal Marsden NHS Foundation Trust, UK said “ We’ re are very thankful to Lumenis for bringing all doctors together on the same platform and help keeping the doctors abreast with the latest technology. The AcuPulse DUO is a versatile technology which enable us to address surgical challenges and broad range of clinical indications with precision”. Professor Prathamesh S Pai, Consultant Surgeon, Convener- Head Neck Disease Management Group, Department of Head Neck Surgical Oncology, Tata Memorial Centre, Mumbai, said, “Lumenis has always been a front runner when it comes to imparting knowledge sharing session to the medical fraternity. Such regular workshops keep doctors abreast with the latest and path-breaking technology available in medical filed”. On the occasion, Bijal Shah, Country Manager, Lumenis India, said, “As a leader in energy based medical device market, we are proud to be associated with India’s leading specialist cancer and research centre, Tata Memorial Hospital to conduct such scientific sessions, enhancing doctor’s knowledge and abreast them with latest laser advancements available in market. 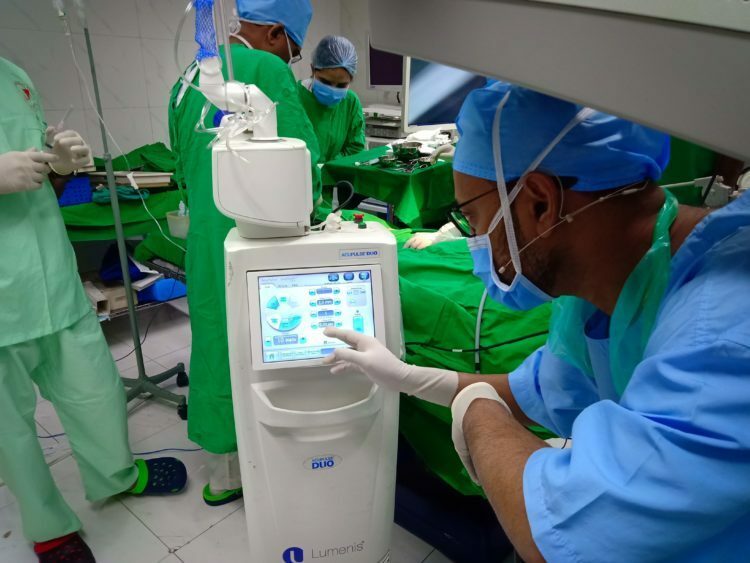 The live demonstrations and hands on sessions organised with Lumenis technologies like AcuPulse DUO makes it more experiential and promotes real-time learning for doctors”. Along with the hands on training using laser techniques the workshop includes theoretical session like basics of laser technology, application of lasers in Head and Neck cancers, Speech and Swallowing and Narrow Band Imaging. The other distinguished faculty of the workshop were Dr Rakesh Shrivastava, Prof Alok Thakkar, Dr Pankaj Chaturvedi , Dr Sudhir Nair, Dr Deepa Nair, Dr Gouri Deshmukh , Dr Anuja Deshmukh among others.